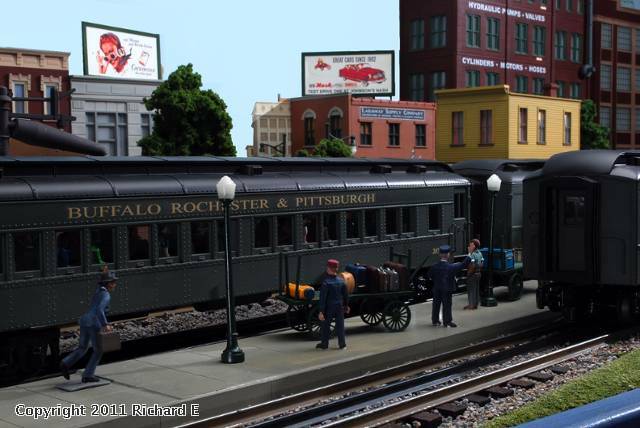 (Guest) J&C Studios O Gauge Archive Photo Poll: Jan. 2012 Buffalo Rochester & Pittsburg Ry. Topic: Buffalo Rochester & Pittsburg Ry. Those cars are repainted MTH Railking 15â?? cars with Polyscale Pullman green and homemade decals from an Alps printer. 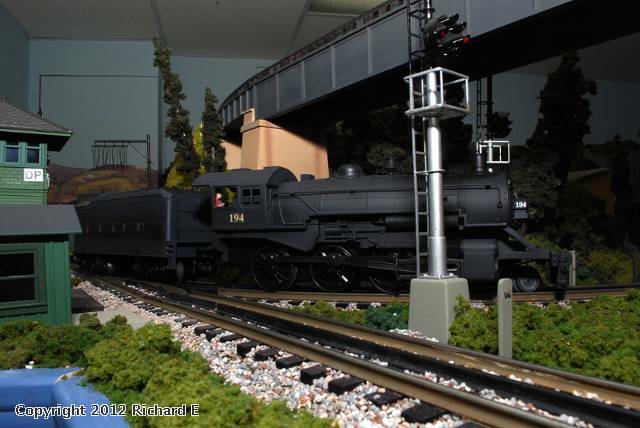 I also repainted a MTH Rugged Rails 4-6-0 locomotive. Very very nice. You have made me want to try this!